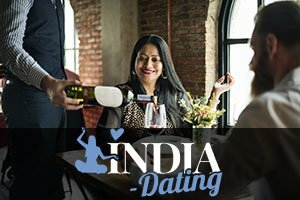 Top Dating Sites India - What To Watch Out For On Online Dating Sites? Online dating is most definitely one of the quickest and most effective ways to meet that perfect someone you’ve been long searching for. Online dating sites have millions of users some of which are genuine people looking for mates while others are bots, creeps, and weirdoes of all sorts you don’t want anything to do with. When it comes to online dating, we single out a few things you most definitely need to be on the lookout for while searching for a partner. Messages from users who disregard your interests and the things you’ve specified you’re looking for are usually to be avoided as they are nothing but red flags telling you to stay away. If you’ve specified you are looking to meet single men aged 25-35 who live in your area, and get a message from a 60-year-old who lives thousands of miles away asking you inappropriate question, you better stay clear and not get involved. People definitely look for different things in their other halves and finding the perfect match is certainly not easy. On the other hand, people who are flexible and willing to compromise have a better chance at finding someone than whose who are bossy and controlling. For example, look for profiles of people who post general information regarding the traits they look for in a partner. Specific job, weight, height, background, and millions of other demands usually mean the person is so set in their ways it’s unlikely anyone will ever be able to live up to their standards, even you. Save yourself some time and look for flexibility. Lots of us out there are shy and some of us even come loaded with social anxiety. All that’s to be expected. However, what’s not to be expected is for someone not wanting to meet you in person after you’ve been corresponding for months, for instance. Not all of us want to meet right away, and we shouldn’t, but if you’ve found someone you can talk to on a regular basis and do so but that person doesn’t want to take the relationship offline, watch out for other red flags, as this is definitely one in and of itself. Maybe the person you’ve been chatting with isn’t who they say they are or has something else to hide. Whatever it is, you may not want to find out and it’s better if you focus your attention elsewhere. There are people who will lie on their profiles to show up in more searches, attract more potential dates and when they find someone who likes them they reveal the truth. In reality, there is no need to lie unless you’ve got something to hide or just simply lack self-confidence. Even though it can be quite disappointing to finally find your match and then learn they’ve been lying to you, be strong and end your communication with that person because reasons for lying usually go from bad to worse so why would you stick around to find out? As fun and exciting as online dating can be, there are certain red flags you need to be careful with so that nobody wastes your time or hurts your feelings. Be smart and persistent and you’re bound to find what you’re looking for.